So much yarn, so little time. 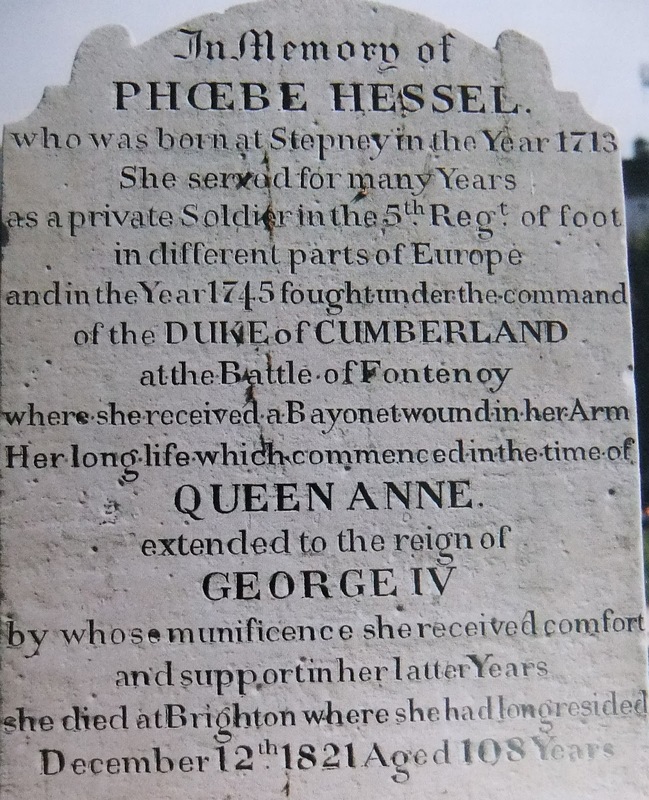 : Phoebe Hessel: a woman ahead of her time? 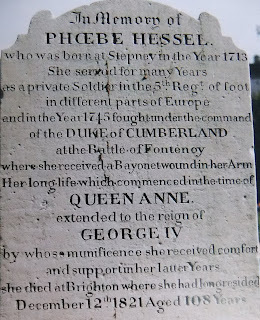 While we were in Brighton last weekend I came across the story of Phoebe Hessel in a book, so we went to see her grave in St Nicholas's church. Googling reveals conflicting versions of her story, but it seems that she was born in 1713 and ran away to join the army dressed as a man to follow her lover at the age of 15! Astounding enough in itself, she managed to sustain this charade for 17 years before being discovered - some sources say when she was bayonetted, others when she was stripped for a whipping. How on earth did she keep up her cross-dressed disguise all those years? She lived to the grand old age of 108, and even if she did make up this story as some would claim, it's an excellent story and very "Brighton". This is brilliant, I never heard this story before.